Utilizing and renovating existing buildings, preserve their historical value is a very important task. To fulfill this task professional building survey is an essential step. We know that during the survey the architect might meet many difficulties: in old historical buildings perpendicular corners are rare, curved walls can be at many points and non-regular room shapes are usual. In modern buildings the speed of work is crucial. OrthoGraph Survey System - which is a building survey app running on iPad - fulfills all requirements on the spot. OrthoGraph can create floor plans and make calculations in the highest quality, helps the architect not forget important measurements and gives live feedback on the spot. You always can be sure that your finished work will meet all building requirements. OrthoGraph building survey tool makes work faster, than ever. Its benefits can be utilized in many fields: use it by surveying a modern or historical building, it's sure that it will help you to make the most professional work. It has so many competitive features which fit every project's need starting from complex building portfolios to the smallest flat. 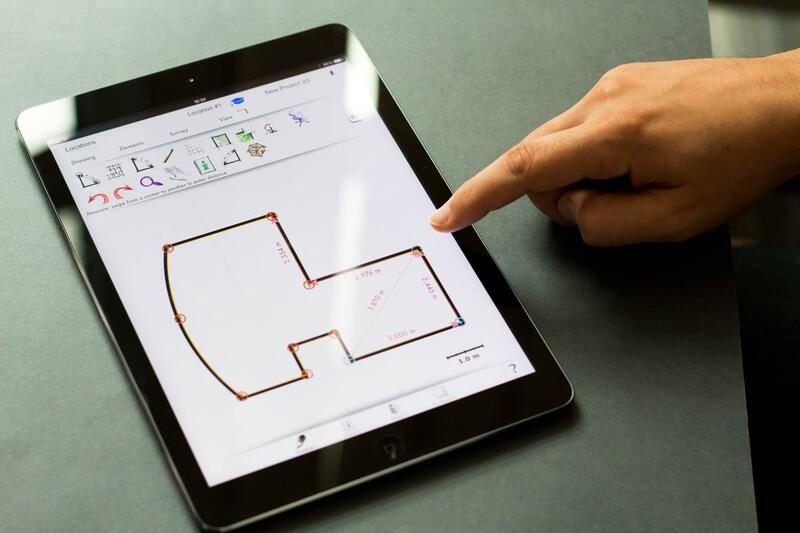 Just draw floor plans with your finger to utilize the advantages of sketch&tap function. As a result 3D walls and openings will be created automatically. To make complex projects easier manage teamwork and store unlimited number of projects. The results will be professional floor plans, calculations and reports, a detailed room book, an Excel list or professional 3D CAD drawings. The OrthoGraph building survey tool handles several BIM properties. All these complex BIM data can be exported to IFC and DXF files, which can then be used in several CAD and BIM software platforms like AutoCAD, ArchiCAD, Vectorworks and many more. By using the BIM model you can plan and follow the entire building lifecycle and you will be able to manage a complex building renovation by making a professional historical building survey.